Product Code: CURJ10 Paintings are printed on canvas. 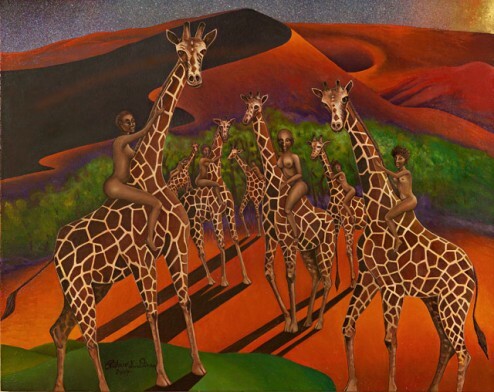 It is a fantasy piece taking place in the Sossusvlei Desert of Namabia. When I was in Africa late last year, every place I saw giraffes I asked whether it was possible to ride them. Of course it isn't, but still I love the image on riding such an elegant beast.